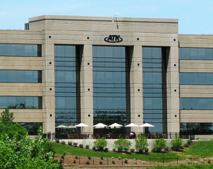 The ATK headquarter facility is a 110,000 square foot Class-A office project that was completed in April, 2008. 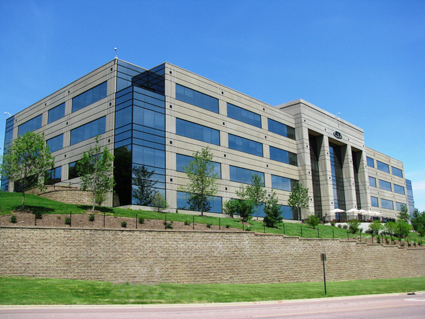 The $30 million project was developed on a seven acre parcel in Eden Prairie, Minnesota. The building was initially designed as a speculative project, but was developed as a single-user built-to-suit facility for ATK. 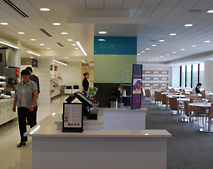 The building features 3∏ stories of office space in addition to amenities that include a café, fitness center, and conference center. The project is environmentally friendly and includes indirect lighting, the extensive use of recycled products throughout, rain gardens, and underground storm water detention. 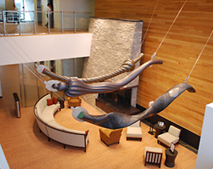 The building also features a two-story atrium lobby and the extensive use of natural materials that include Hickory wall treatments, Douglas Fir flooring, and the use of taconite stone accents throughout. The project site includes a 120-stall parking deck, 30 climate controlled executive parking stalls beneath the building, and extensive landscaping. The total construction period for the project was 11 months. The site featured many challenges including the need to export 110,000 cubic yards of dirt and the relocation of a shared access point with the adjacent landlord. The project was completed just 13 months after the execution of a letter of intent.